What hides in the shadow? Such a sunny day yesterday! But light-sensitive eyes rest in the dark. I had been photographing otter and to avoid plodding into deep snow on my way back I choosed the thick spruce forest where the the snow cover is thinner. It turned out to be a good choise. 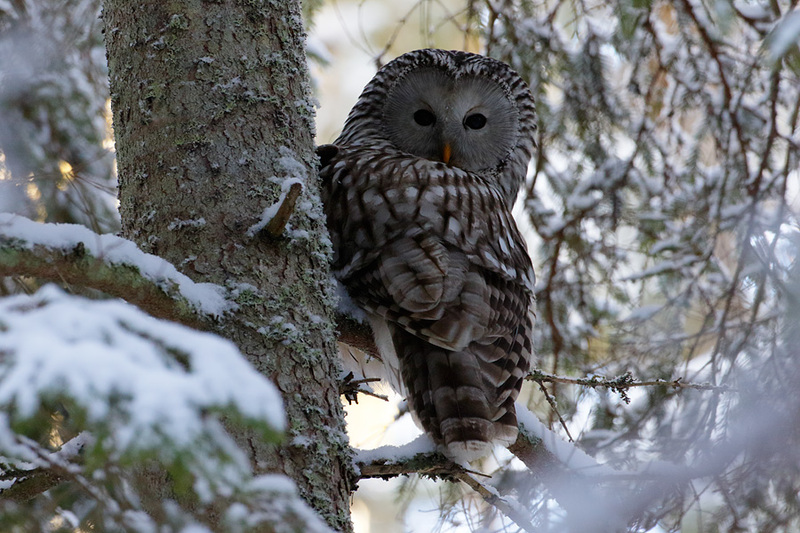 An ural owl followed my movements. If You want to see the otter pictures, please check out and follow my other blogg (Naturbloggen) at www.biotopia.nu !